See it first hand now by requesting a demo. DataRobot offers an enterprise machine learning platform that empowers users of all skill levels to make better predictions faster. The ability to democratize the predictive analytics process is the key feature of an automated machine learning platform, and DataRobot’s ability to automate the entire modeling lifecycle enables users to quickly and easily build highly accurate predictive models. 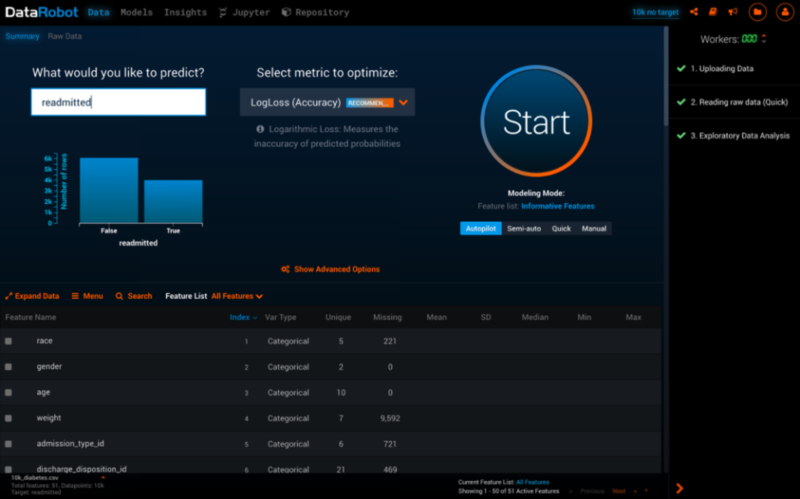 Incorporating a library of hundreds of the most powerful open source machine learning algorithms, the DataRobot platform automates, trains and evaluates predictive models in parallel, delivering predictions at scale for greater business agility. DataRobot provides the fastest path to data science success for organizations of all sizes. What does DataRobot look like? DataRobot’s incredibly user-friendly graphical interface makes it simple for everyone in the organization to develop highly accurate predictive models, regardless of their level of technical expertise or programming knowledge. 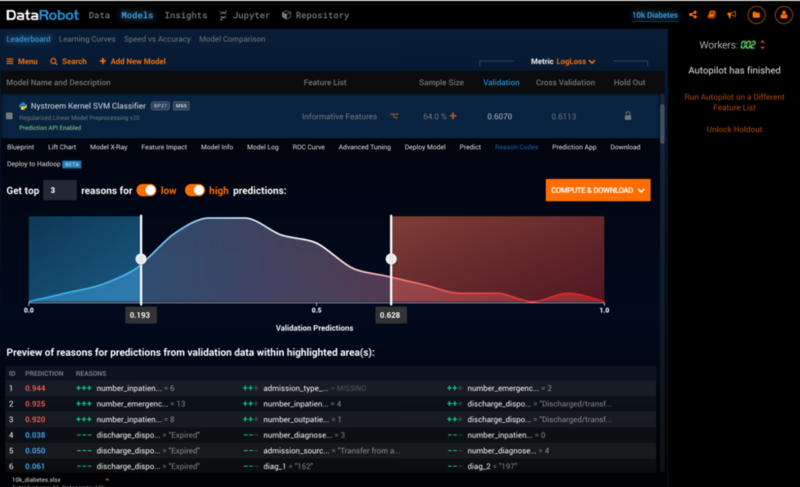 DataRobot offers a number of visualizations and features to deliver insights into model behavior, allows users to understand exactly why a certain prediction has been made. DataRobot makes it easy for analysts and data scientists to dig deep into the results, but also all business stakeholders to feel comfortable that the model is working as it should. DataRobot is relevant for industries across the economy, including. In addition, DataRobot can be used by different functions across these organizations, both technical and non-technical. Business analysts, software engineers, and IT professionals who know the value of data science initiatives but lack a traditional data science education. Executives who understand that machine learning and artificial intelligence is the wave of the future, but aren’t sure how best to implement the proper initiatives throughout their organization. Where does DataRobot fit in?